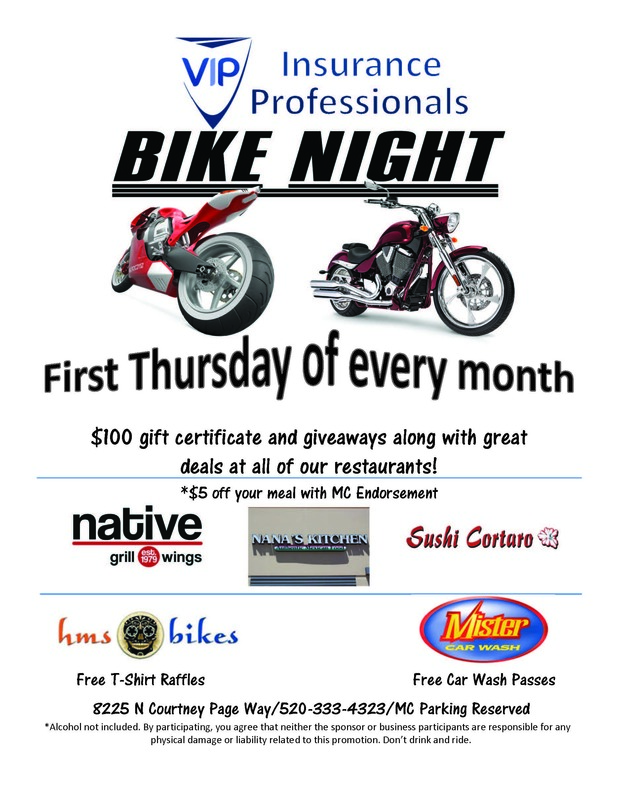 VIP Insurance Professionals Present Bike Night, the first Thursday of each month! $100 Gift Certificate and giveaways along with great deals at Native Grill & Wings, Nana's Kitchen, and Sushi Cortaro. HMS Bikes- free T-Shirt Raffles and Mister Car Wash Passes. February 1st from 6 pm to 8 pm.